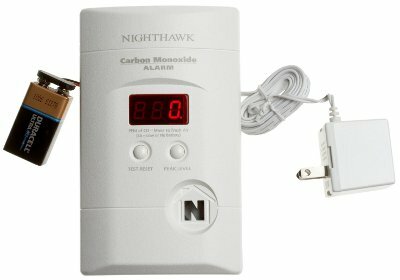 This is the summary of consumer reviews for First Alert SC9120B Hardwire Combination Smoke/Carbon Monoxide Alarm with Battery Backup. The BoolPool rating for this product is Good, with 3.90 stars, and the price range is $33.42-$47.97. The self test worked great and it's been working fine ever since. This was a replacement and it worked perfectly. Works so far, and was easy to wire. So far this works great. This was easy to install but we'd a smokey house a few times and nothing was going off, hit the test button and it shows its working fine. Instructions were a bit difficult to understand, but got it wired in and working successfully. All the other units in the house still work reliably, and have detected even trace amounts of smoke. 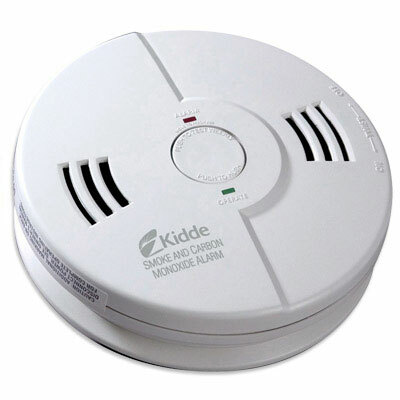 Purchased this item to replace the electric smoke alarm that was in our house when we purchased it. This unit worked reliably for a year, then started to go off, on it's own, in the middle of the night. Will buy again, as more need replaced in my house. 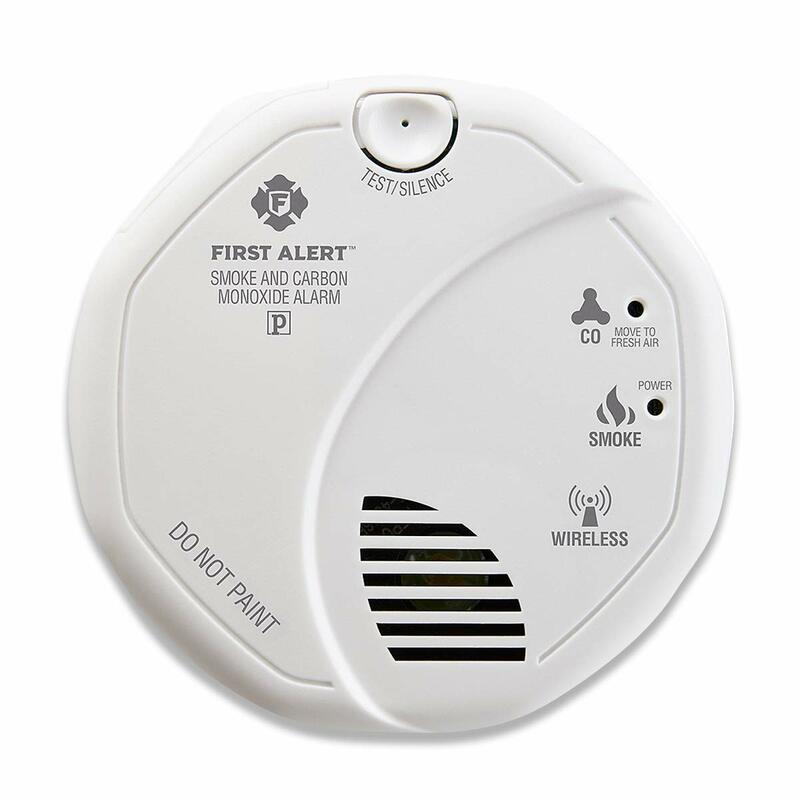 Easy installation, if another 'First-Alert' device is installed. Easy to install and look much nicer than the old ones they replaced. Easy to install and hook up. We install these with almost every furnace that we install. I've had them installed for months now and zero complaints- I'd highly recommend these to anyone looking to replace their old ones. I read all the complaints about installation difficulties and functional problems. Great information for installing on your own. Were a snap to install and haven't had any problems. We're a Plumbing and Heating company and it's required with most of our furnace installs to install these detectors.We purchased these combo C/O Smoke dectectors due to the price. had insufficient electrical knowledge to perform the installation. 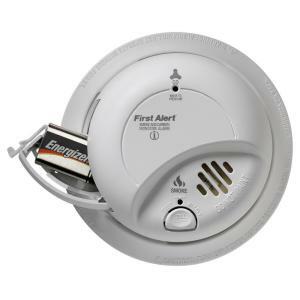 Even the fire chief told me that if I've a hard-wired smoke detector/CO detector combo, I should get it replaced as they've had false alarms with that type of detector. 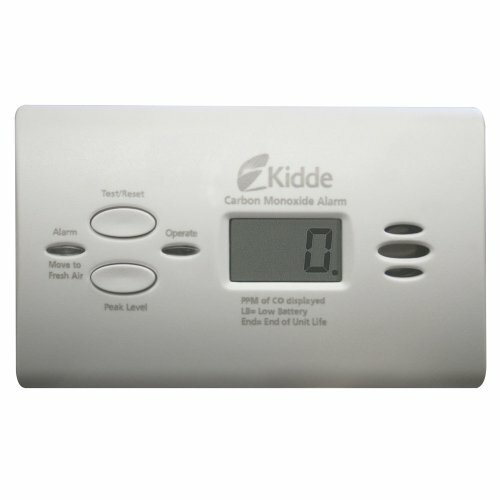 If I were to start over, I?d spend more time researching this ?CO detector life? This's the second time I?ve had to replace this CO detector in less 3 years. I just had to unplug old 4120 smoke detector, change ceiling ring, and plug in new detector. My electrician had to replace this combo version AND all the regular smoke detectors of the same brand, as they were sounding for no reason as well. It fit right in to the existing fire alarm system in the house but added CO detector as well. The other detectors are only smoke and haven't failed yet. 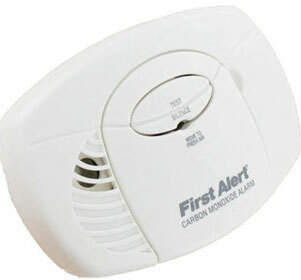 I'm tried several different models of BRK / First Alert detectors. I?ve had no problem with the Fire detectors, just the CO. I?m not certain if it's a shelf-life issue that the company is aware of, or if this's just typical of CO detectors. bought 4 units at once to replace all smoke/Co2 units in my home, installed new batteries (came with each unit) and connected hardwire plug. Received three BRK SC9120B replacements after original units (4 years old) started a low battery chirp with new Duracell batteries. First, label the plug (hidden) side of your units with the install and replace dates. Battery can be easily replaced w/o removing the unit. The installation is a breeze as I'm replacing an existing unit. I bought two of the combo units and and four standard smoke detectors as upgrades for my 11 year old units. This model is the official replacement for my older unit. That unit began to malfunction by emitting sounds about a week after the battery was replaced. 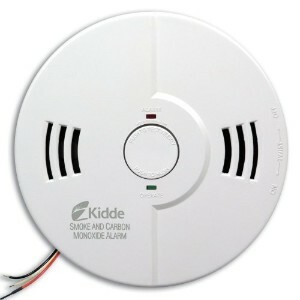 I purchased a new smoke/co alarm to replace one that kept false alarming. 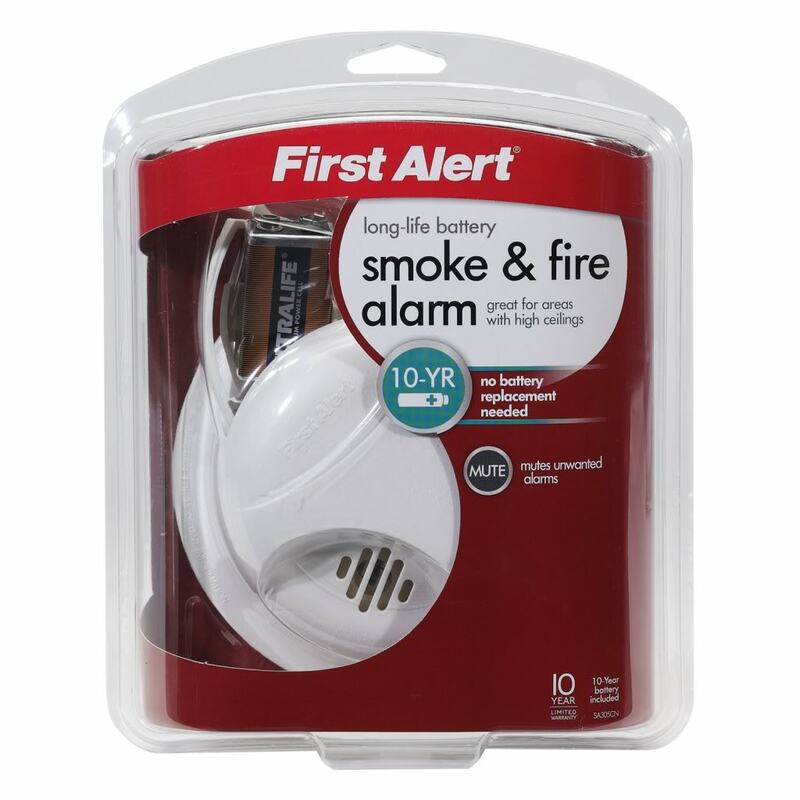 We replaced all of the smoke detectors in our home, and put the First Alert Smoke and Carbon Monoxide alarms in the open spaces on all three floors and just the Smoke alarms in the bedrooms. The only alarms required would be photo electric they sound in presence of smoke and extinguish themselves when smoke clears out. Took about 3 minutes per alarm to replace for the first two. 7) I replaced all of our first alerts with Kiddie non-hardwired, non-interconnect detectors. These are easy to install reliable devices that save lives. 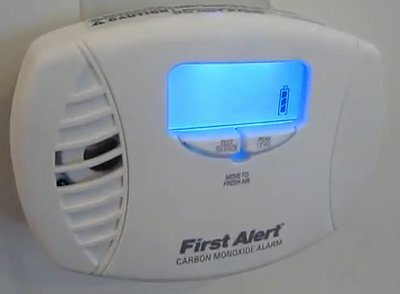 Two of the three Smoke/Carbon Monoxide alarms chirp three times for absolutely no reason throughout the day and night. After two years of working ok, one of them started alarming with the CO chirps. I upgraded a couple of them to include the smoke/carbon monoxide alarm. My property owner has replaced this model three times so far this year (2014). It goes thru batteries about every two weeks. Absolute garbage.